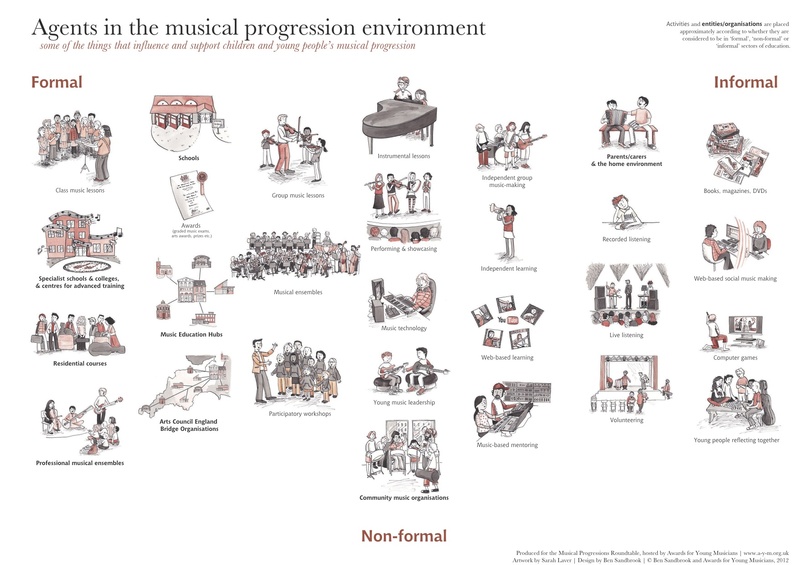 This is a poster that I put together with children's artist Sarah Laver for the Musical Progressions Roundtable, hosted by Awards for Young Musicians. It depicts some of the things that influence and support children and young people's musical progressions, and we've tried to position them on a triangular graph with three points for formal, non-formal and informal. There are downloads available below for print.